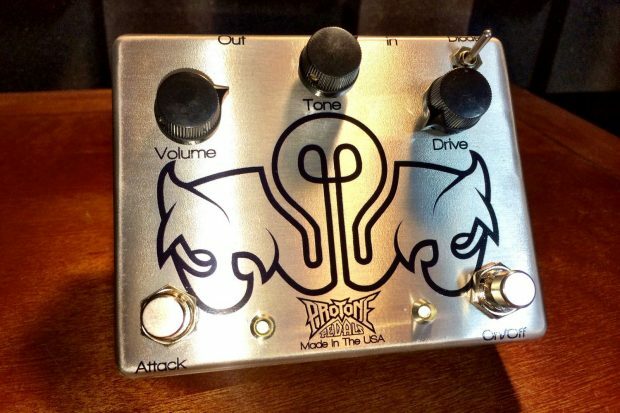 You may never have heard of Pro Tone pedals, but they’re making noise in both the rock and metal worlds. Behind every great guitar is a set of pedals and more and more artists like Misha Mansoor, Keith Merrow, and Jeff Loomis are adding them to their boards. Unlike most companies who are looking to recreate sounds from the 60s, 70s and 80s, Pro Tone is looking into the future, embracing Axe FX, Kemper Profiling Amp, and even mobile apps to create a new, unique sound. For our fourth podcast, we spoke with Pro Tone founder Dennis Mollan about the company’s history, how they created their flagship products, and more. If you are into gear, you won’t be disappointed as Dennis goes deep into the “ubiquitous mediocre gear of yesteryear” like the Crate Blue Voodoo, Metal Zone, Rockman, and the oddity known as the DOD Grunge Pedal.